Uniting, a not-for-profit services and advocacy organisation, offers seniors gyms for people over the age of 60 who want to stay fit and healthy. There are three gyms in Sydney, one of which is based locally in the Northern Suburbs – Uniting Chapman Close Chatswood, 2 Chapman Avenue, Chatswood. The gyms are designed to be comfortable and friendly environments where caring staff are always on hand to support you on your fitness journey. Conveniently open five days per week. 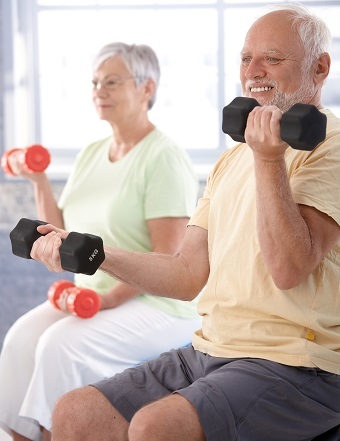 Via My Aged Care (MAC)/ Commonwealth Home Support Program (CHSP) – Uniting Seniors Gym Chatswood, service type – Allied Health – Exercise Physiology. To be eligible for CHSP the patient needs to be over 65 years of age and meet the CHSP eligibility criteria. Self-Funding Patients – Patients that are over 60 years and do not meet the CHSP eligibility criteria can be referred via 1800 200 422. Self-funding patients are eligible for Chronic Disease Management Plans – Exercise Physiology. Enquiries: Please call 1800 486 484.